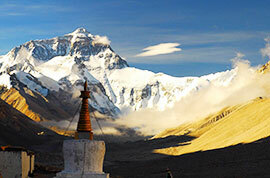 Tibet is one of the most mystical and spiritually holy places on earth. 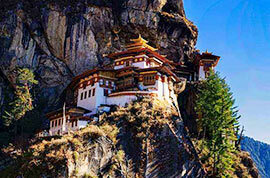 Famous for the most sacred Potala Palace and not forgetting Mt. 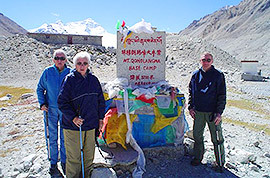 Everest, the world's highest peak, here you will also meet the hospitable and ingenuous Tibetan people with their unique folk customs. 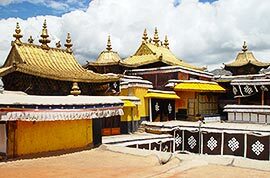 Our 2019 best private Tibet tours and Tibet group tours are gearing up to fulfill your dream trip. With essential parts with a guide plus some open free days, our budget itineraries are particularly designed for clients who are on a limited budget and enjoy a measure of independent travel. Do I really need a travel permit if I want to visit Tibet? How can I get one? Yes, foreign passport holders including Taiwanese and Non-Chinese ID card holders need to have a travel permit to visit Tibet according to the rules and regulations of the China National Tourism Administration. For clients who book tours with us, we will handle the travel permit for you. You only need to provide us with the necessary information including your full name, nationality, age, gender, occupation, passport number as well as photocopies of your passport and visa at least 20 days in advance. After the application is checked and approved, the Tourism Bureau will issue the travel permit about two weeks prior to your entry to the region. Then we will deliver the travel permit to your destination before Lhasa so that you can board the flight or train to Lhasa successfully. 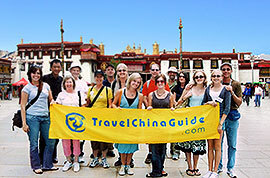 From start to finish, we will help you get everything ready for a memorable and best Tibet tour. You can visit Lhasa, Testang, Gyangtse and Shigatse all year round, although May to October is especially favorable for sightseeing. Also, if you want to best explore the Everest Base Camp, we suggest you avoid the period from late October to early April as your journey may be hampered by the severe weather. Is altitude sickness a big problem? How can I avoid it? Travelers sometimes get altitude sickness when on the Tibetan plateau. Here are some tips to avoid and alleviate altitude sickness. 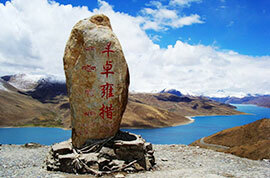 Get a thorough physical examination and seek advice from your doctor if you plan to visit Tibet. If you suffer from anemia, hypertension, or heart problems perhaps you should not visit the area. Be careful not to catch a cold and also ensure you are in good health before heading there. Bring medicines for colds, diarrhea and fever with you. Some nasal ointment and throat-moistening lozenges will be of great help for those who are sensitive to chilly or freezing weather conditions. On the first day of your arrival, avoid vigorous activities such as walking fast, running and swimming. Bathing and smoking are also not recommended. Drink enough water and eat lightly. Snacks with high caloric content, like chocolate, will come in handy. 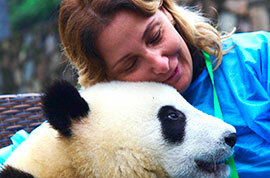 Please notify your private guide immediately to get instant help if you feel any discomfort. You need never to be nervous or worried about your vacation. Take it easy and you will adapt to the plateau environment very soon with the help of the guide. 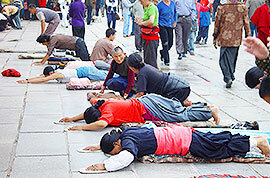 What is the appropriate behavior when visiting religious sites in Tibet? 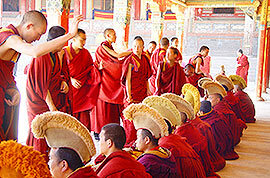 Tibetans are Buddhists, so it is very important to respect their beliefs. Below are some tips you should know about. Visitors need to walk clockwise around the religious sites and facilities, like temples, monasteries, pagodas, Mani stones and prayer wheels. Visitors are not allowed to touch Buddhist statues and sutras. Also taking pictures and smoking inside temples or monasteries is prohibited. Avoid wearing shorts at the religious site. Do not touch anyone on the head. Do not step on the threshold of any house, temple or monastery. 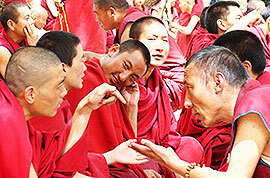 Though Tibetans have some religious taboos, they are always very friendly towards tourists. Is it convenient to use credit card and ATM cards when traveling in the region? 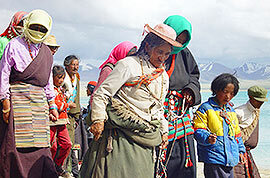 Unfortunately, credit cards are not widely accepted in Tibet, and they can only be used at certain hotels. 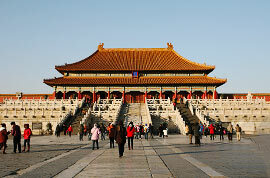 It is advisable to exchange enough RMB in big cities like Beijing, Xian, Shanghai or Chengdu before heading to Lhasa. ATMs are also not widely available in the region, so you may wish to withdraw money or exchange money at the Bank of China if you run out of Chinese currency. Remember to bring your passport, which must be presented when exchanging currency. I found all Tibet tour packages 2019/2020 cost more than those of other major tourist cities in China. May I know why? Yes, the relevant travel costs in Tibet are indeed higher than those of other cities. A major reason is that higher transportation fees add to the price. Firstly, there are still only a limited number of cities with direct flights to and from Lhasa, and the airfares are usually higher with fewer discounts. Secondly, there are relatively few licensed tourist vehicles in the area, thus their cost becomes expensive. Thirdly, long drives are involved on trips because the distances from the airport to downtown Lhasa, as well as from one city to another are far, although road conditions have been improved a lot. In this case, the cost of fuel also accounts for a percentage of the total price. Although it is a bit more expensive to travel to the region compared with some other destinations, its landscape, religious traditions, culture and unsolved mysteries are of great value. Can I do independent travel in Tibet? Independent travel is not allowed for foreigners in the region. All visitors need to join an organized group or have a private trip with a confirmed travel itinerary, a licensed guide and a driver arranged by a travel agency. 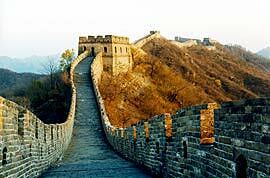 To meet clients' different interests, we design a 4-day private Lhasa package and some two weeks long Tibet tours starting from Beijing, Xian, Shanghai or Hong Kong via Guangzhou. 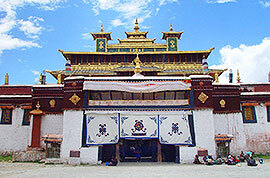 Besides, we can also extend the private trip from Lhasa to Nepal and India. 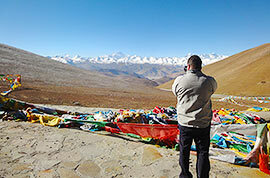 How to Travel from Nepal to Tibet? Everything they arranged for us more than met our expectations. Even when our plane arrived 6 hours late to Beijing from Lhasa, the guide and driver were at the airport to meet us! 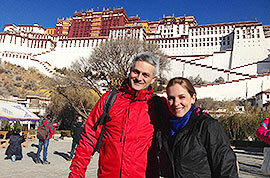 We were very pleased with the hotel arrangements and particularly happy that we could stay at the Lhasa Hotel. Each lunch restaurant was also of high quality. Our China trip was really great! Thank you! We hope to return to Tibet and do more next time. The dishes we liked the best and would recommend were the yak steak, the steamed fish that we had during lunch the second day, and the hot and sour soup we had at the restaurant for lunch. Our guides were excellent and very helpful with all our questions. PooPoo had great knowledge about all the palaces, temples, etc...that we visited! We really learned a lot!! Our guide spoke great English. Our driver didn't speak too much, but that was ok, he was focusing on the road when we drove around the city. The car was very clean and our driver was very knowledgeable about how to get to where we needed to be. He was a very nice person. We wish to thank Vera for the wonderful vacation she arranged for us. Everything was delivered as promised! We were promptly picked up in our hotel in Beijing and delivered to our flight to Lhasa, where our guide and driver were waiting. The tour was carefully and thoughtfully arranged. 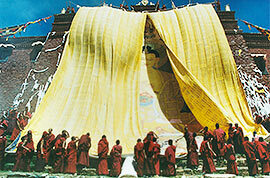 We had read a great deal about Tibet before we left; and there was little (if anything) we would have changed. Our guide was knowledgeable and helpful. As we are independent travelers, he always sensed when we needed some time just to wander around a little by ourselves. The driver was quite simply the best driver I have ever seen. The roads were impossible, yet I was never concerned for my safety. 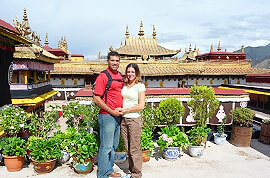 There are plenty of places to visit in Tibet.We Need help deciding where to go in Tibet. 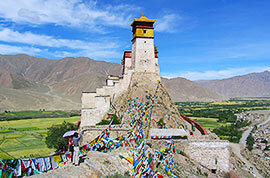 Give us best recommendations on what to see and do in Tibet for the first time visiting this country. With so much to see and do it is difficult to know where to start. Kindly advice if tourists are permitted to drive rental vehicles in Tibet. 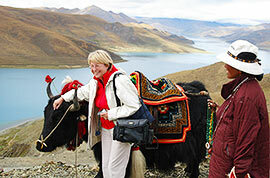 If not then which is the most comfortable and fastest ways for tourists to travel across Tibet. What money does Tibet use - Chinese currency? How easy it to change currency in there? 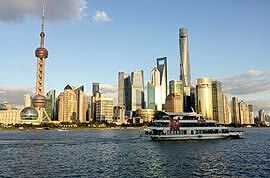 EURO can be exchanged at Bank of China branches or preferences - USD? 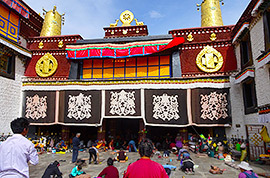 The most popular and essential attractions in Tibet are Potala Palace, Jokhang Temple, Three Holy Lakes, Nyingchi Prefecture and Mountain Kangrinboqe. 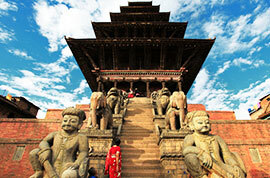 If you have enough time, you can also cross the border to neighboring Nepal for traveling. However, according to the policy, foreigners are not permitted to visit Tibet independently, so you need to join a tour with an authorized travel agency in China. 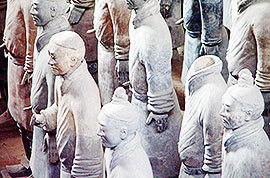 What's more, overseas tourists must book their tours with a private vehicle, driver and tour guide. 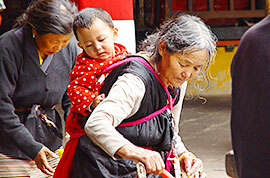 People also use Chinese currency in Tibet but most of Tibetans only accept banknotes not coins. Usually Bank of China and some star hotels have exchange service, but the hotel only offer the service to their guests. Which is better way for the euro or the dollar exchange Chinese yuan depends on the exchange rate of the day. If I make a trip in April, will I be able to see if visibility is clear? Is it a good season to climb? 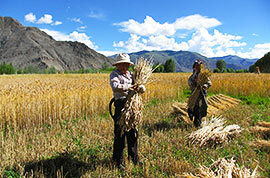 Generally, it is sunny in April in Tibet, but the visibility will be based on the intraday weather condition. September to October is the best season to climb up Mt. Everest. Is there a list of hotels we can pick from when i book a trip or you assign it? It depends on which type of a tour package you would like to book with us. As a group tour, we usually arrange the hotel accommodation for our guests in advance. If you would like to book the hotel by yourself, you need to book the same hotel as we arranged. It is for ensuring all members of our group pickup and sendoff going smoothly as scheduled. If you book a private tour, you can choose your hotel according to your preference, but it is also recommended that you choose a hotel with convenient transportation and close to the city center. Or when you are not sure which hotel to choose, our professional consultants are willing to recommend the hotel as your requirement. Please feel free to contact us should you need any further help. Thanks for attention. 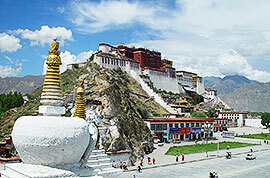 I would like to have 2 free days in Lhasa to go around by myself and you only book hotel for me. 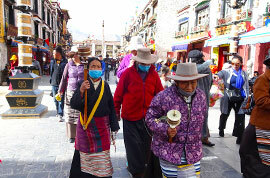 I'm sorry that foreign travelers are not allowed to travel in Lhasa by themselves. You may let us know the places you would like to visit and we will be glad to arrange a guide accompany you. Thank you. I am American and my husband is Chinese, but I have heard only the foreign citizen groups are allowed to enter Tibet.Is that true? Chinese citizens can certainly enter Tibet without Tibet Travel Permit, but you need apply for TTP as your Russian Nationality. According to the policy, foreigners are not permitted to visit Tibet independently, so you need to join in a group through a travel agency if you hold Russian passport. Besides, you need to apply for Tibet Travel Permit.